Have you heard what all the excitement is about? 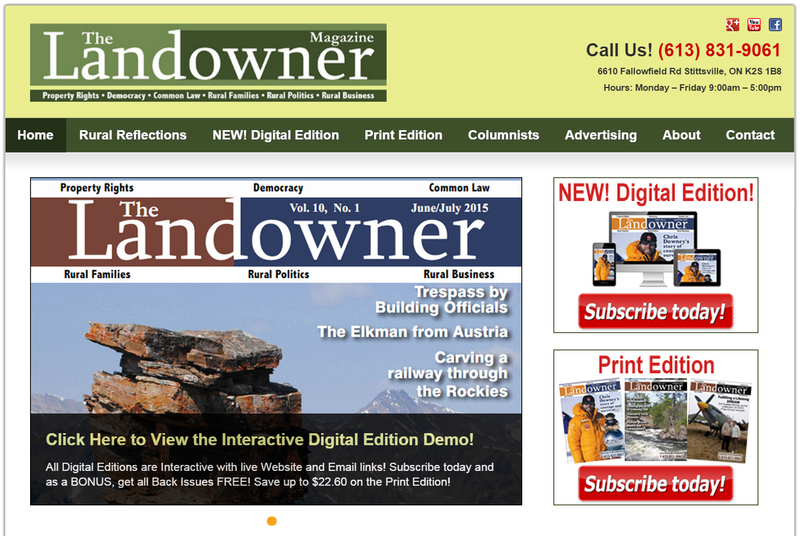 The Landowner Magazine ​is GROWING Again! 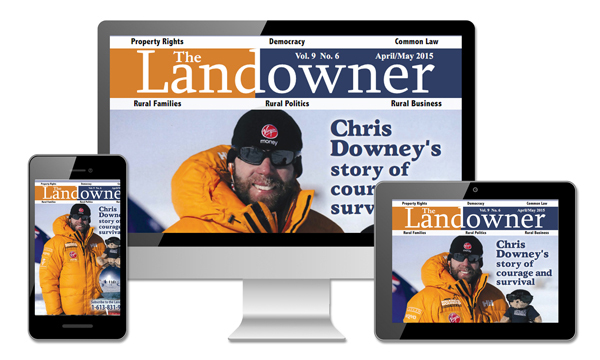 EXCITING CHANGES have taken place over the last 8 weeks for the Landowner Magazine! We have a new Website, Facebook page, Google Business page and YouTube Channel. The biggest change moving forward is the fact we now offer Digital Edition Subscriptions for new and current subscribers. You can subscribe for 1 or 2 year periods and also order individual back issues from our 52 edition catalogue. We will still publish our print issues. Our Interactive Editions include additional editorials, videos, webinars and more and are viewable anytime, anywhere on any PC, netbooks, Mac, iPhone, iPod Touch and iPad, along with the latest Android phones and tablets. No Apps required. BONUS: you get all 52 back issues absolutely free! Please visit the sites and LIKE and SHARE them on your social networks. Spread the word. Thanks for your continued support of The Landowner Magazine, we feel very fortunate to have such a great family of supporters. Here we GROW again! All the best.